Abigail Reynolds’ Mr. Fitzwilliam Darcy: The Last Man in the World examines what it would have happened in Pride & Prejudice by Jane Austen had Elizabeth Bennet not refused Mr. Darcy’s marriage proposal. Lizzy is stuck in a situation in which she is forced to accept Darcy’s proposal, or at least she feels that is the case. The marriage happens quickly and Lizzy is filled with anxiety about her role as Mrs. Darcy, what to expect from her husband, and how to overcome her prejudice against her him. Reynolds has a firm grasp of Austen’s work and her Pride & Prejudice characters, and that knowledge shines through as we follow Lizzy and Darcy into their alternate universe. From misunderstandings to barbs, Darcy and Lizzy spar with one another and hide their true feelings as they fear the other’s reproach. The servants and the housekeeper, Mrs. Reynolds, are just as they should be — hovering on the outskirts and ready to lend help when necessary. Mr. Fitzwilliam Darcy: The Last Man in the World is a treat that will transport readers into regency England with a set of new and old characters. Lizzy and Darcy may be one of the greatest classic love stories, and Reynolds‘ spin on the love story reads like a classic. Lizzy is still strong-willed, but tentative in her new marriage and her new circumstances. Darcy is a bit harsh at times, but readers will forgive him his transgressions. Readers should be cautioned that there are some intimate scenes that give this novel a more contemporary feel. All in all, this is a delightful variation. 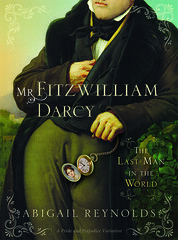 Sourcebooks is offering 2 copies of Mr. Fitzwilliam Darcy: The Last Man in the World to U.S./Canadian readers of this blog. 1. Leave a comment on this interview about what you would like to ask Abigail Reynolds. 2. Leave a comment on my review of Mr. Fitzwilliam Darcy . 3. Blog, tweet, Facebook, etc. this giveaway and leave a link here. FTC Disclosure: I received a free copy of Mr. Fitzwilliam Darcy from the Sourcebooks for review. Clicking on titles or images can bring you to my Amazon Affiliate page; No purchase necessary, though appreciated. This is my 1st book for the Jane Austen Challenge 2010! Ooh, I love stories when they are married but so unsure at first. Can't wait to see what you read next for the Jane Austen Challenge. I'm so happy to see you published, AR! I love all things Austen, include me, I'd love to win. What fun! Especially since my husband is watching the 5 hour BBC version with me this week. I am surprised, as he is, that he's enjoying it so much. Maybe I'd ask who her favortite Elizabeth and Mr. Darcy are on film. I would love to win this book! I have always wondered in my own mind what would happen if she had said yes right away, as women in her era were want to do because refusal of a man with such wealth in that time would usually have been social suicide. Thanks for your review. I read this for Sourcebooks too, and I need to do the review. I liked it as well. A lot of fun. No need to enter me. 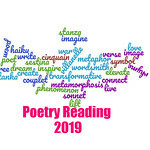 Sounds like a cool book….please enter me!! You've got me curious as to how it all turns out. I'd love to win !! I always thought that Darcy's first proposal was a bit shocking. This is an interesting premise– I look forward to seeing Abigail's take on this! I'll go tweet/blog/etc. and go enter on the interview page. Thanks for giving us a chance to enter! Interesting premise. I look forward to reading it. This book sounds like an interesting take on a beloved story. 🙂 I can't wait to give it a try.